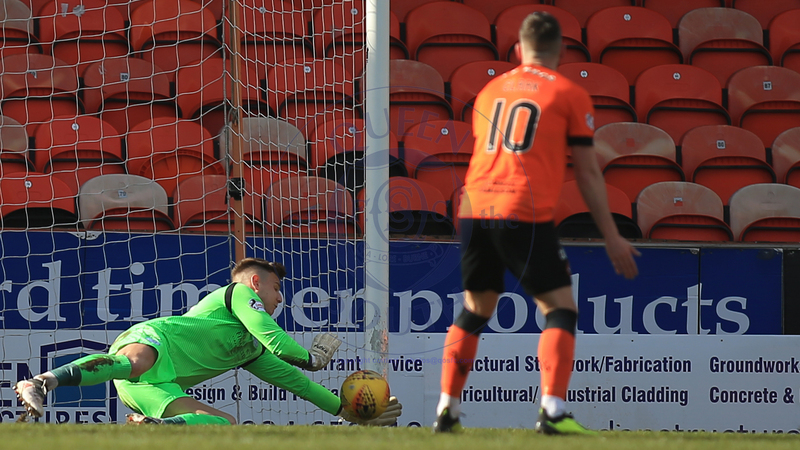 A heroic performance from Queens, especially that of ?keeper Jack Leighfield, meant the Doonhamers travelled ?doon hame? with all three points. It was a very new-look Queens side from recent times, with Leighfield starting, as well as a maiden start for American Ian McGrath. Josh Todd was back after injury, with Mikey Doyle and Barry Maguire reinstated to centre-half. New signing Deniz Mehmet was on the bench. It was change in the dugout as well, with Laurie Ellis assisting boss Gary Naysmith for the first time. The formation utilised by the gaffer stayed the same though, with Naysmith continuing in the 4-4-1-1 shape. However, Dykes player out on the left, McGrath behind Dobbie and Todd in the middle of the park with Kyle Jacobs. Queens were on the front foot from the start of the game. The two-week ?break? looked to have really refreshed the players, with United put under pressure constantly. A few corners for Queens came to no avail, while United were threatening on the counter. After 15 minutes, the hosts started to stamp their authority on the game, and show why they?re just two points off the top of the league. Good work by Paul McMullan on the right, who was dangerous all day, allowed him to get a shot away that was saved brilliantly by Leighfield, before the young ?keeper got up and saved Pavol Safranko?s rebound from inches out. It was a genuine top class double save from Leighfield, who only got better as the game went on. 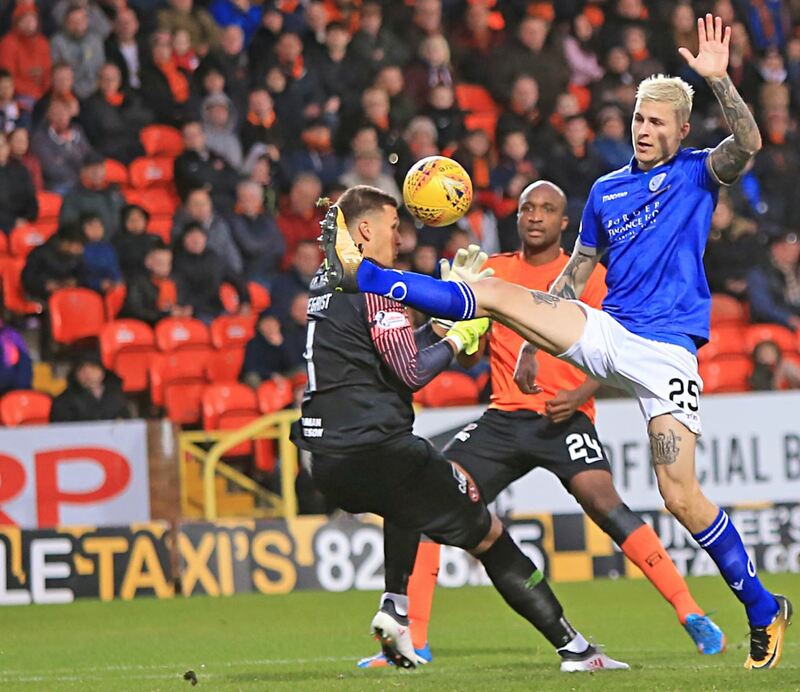 It was an open game to begin with, but Dundee United began to peg the away side back. Mercer stopped a Safranko header on the line after a barrage of crosses and corners. 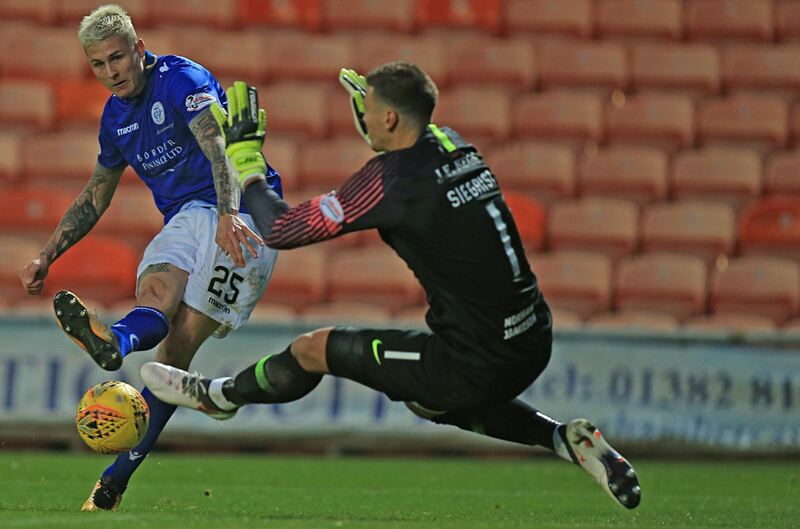 Maguire, fresh from his goal for Scotland U21s on Monday, and his centre-half partner Doyle were proving to be extremely tough to beat, putting everything on the line to preserve their clean sheet. At the other end, Queens? best form of attack was on the break. A long-ball was cleared by United keeper Benjiman Siegrist, before Andy Stirling had a chance to chip him from 40-yards or so out. Unfortunately, his effort flew wide. 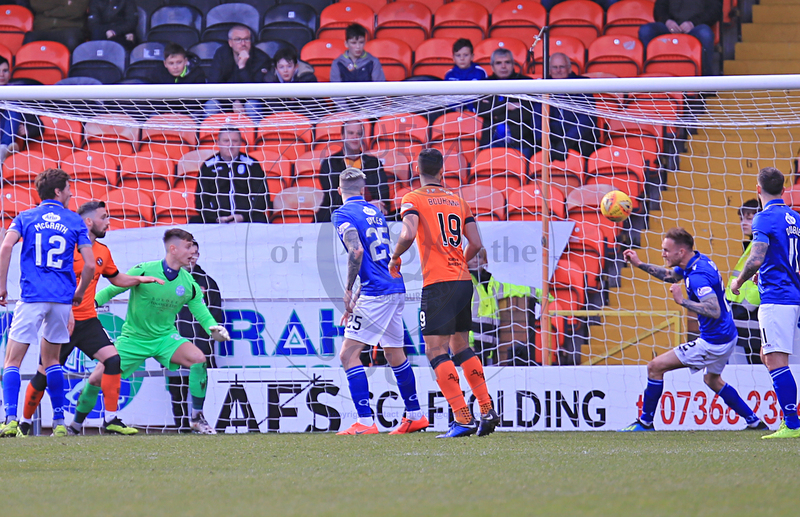 Callum Butcher was sent through one-on-one with Leighfield, but Maguire was their to make an exceptional challenge to prevent the midfielder from getting his shot away. A poor Nicky Clark free-kick was the last real chance of the first period as referee Alan Muir blew his whistle. A decent first-half for Queens, but the credit has to go to Jack Leighfield from some exceptional saves to keep the scores level. Although there wasn?t too much attacking threat after the first 15 minutes, Queens were very much on the front foot in the second period. The first attack did however come from the hosts, with a header from point blank range remarkably saved by Leighfield, while Maguire blocked the rebound on the line. 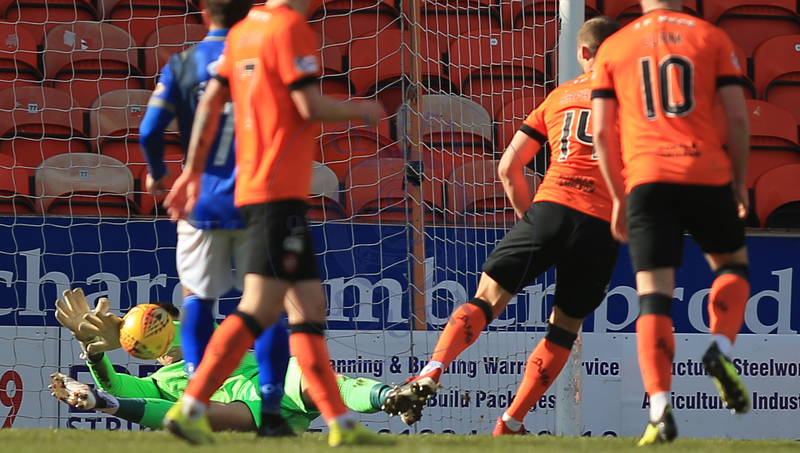 The save and block seemed to be the catalyst of the game, as Queens began to press on in search of the opening goal. Dobbie and Dykes were linking well together, even though Dykes was playing on the wing. A one-two from Dobbie to Dykes, with the Aussie taking three men out of the move with a back heel, led to a Dobbie chance through on goal. However, before he could get the shot away he was bundled over in the box by Robson. 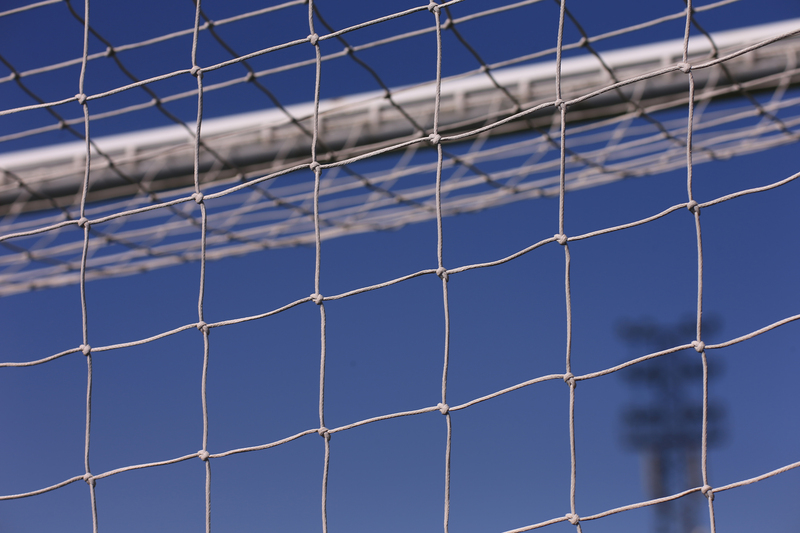 Referee Alan Muir made no hesitation in pointing to the spot to award the penalty. 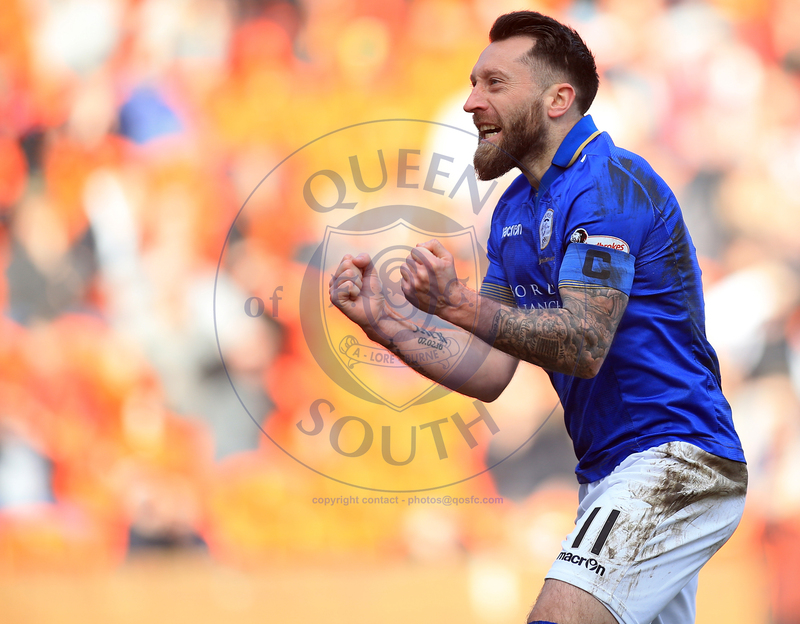 Stephen Dobbie stood up, and sent Siegrist the wrong way to give Queens the lead. Maybe, just maybe, today was the day to break the streak? Although if we were going to win, it wasn?t going to be easy. A header in the Queens box came off the inside of the post, before Leighfield somehow parried it off his line and out for a corner. Just two minutes later though, Queens doubled their lead. It was Dykes and Dobbie again, with another one-two( this time Dykes to Dobbie, who performed some sort of acrobatic scorpion-kick pass to put the ball at Dykes? feet. And he made no mistake in slotting the ball under the helpless Siegrist. The passion that the players celebrated with really showed in the celebrations. They weren?t going to let this game slip. And the chances kept on coming for Queens. Dykes was put though on goal again, not long after scoring, but his shot was this time saved by Siegrist. 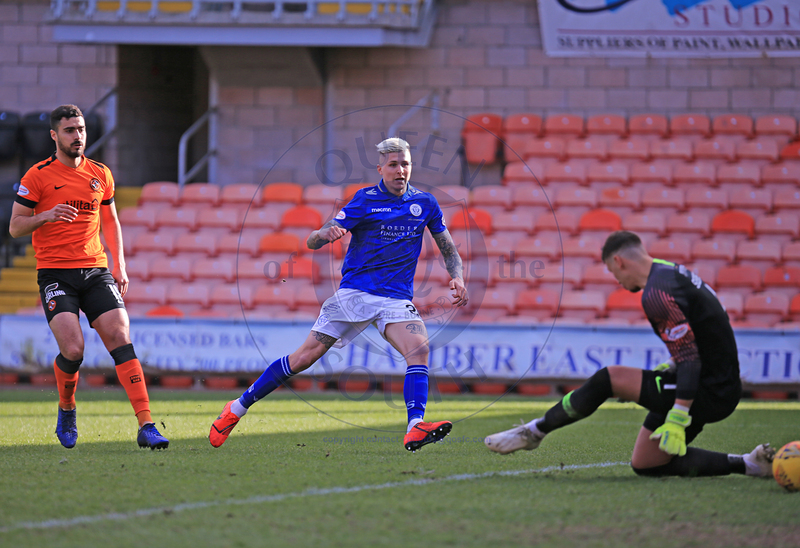 A quick counter-attack from Andy Stirling allowed the wide-man to play in Josh Todd, who after taking the ball past two men, was able to fire a shot inches over the bar. At 70 minutes, a Peter Pawlett free-kick was deflected off the wall, and parried by Leighfield, before he managed to secure the ball just before it crossed the line. However, just minutes later, United pulled one back. 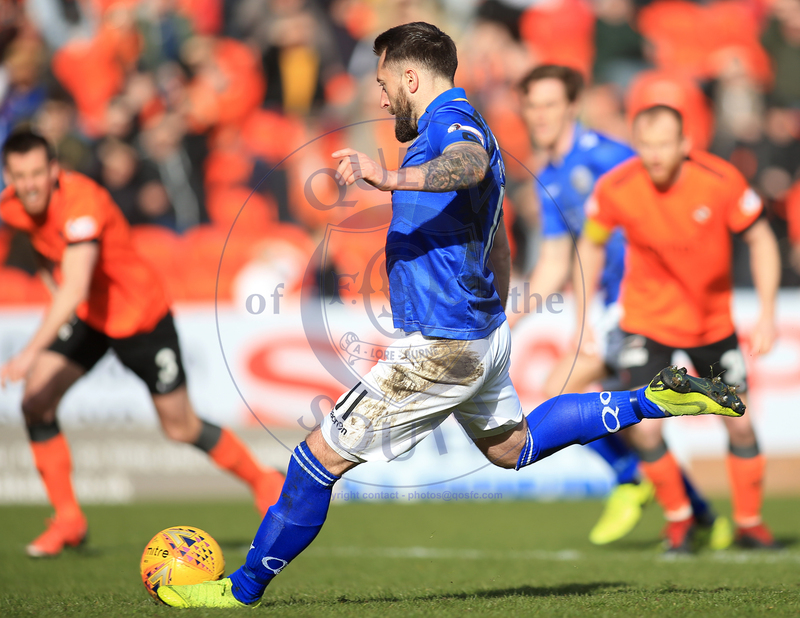 A good ball in the box was met by the free head of Nicky Clark, who carried on his impressive scoring run by nodding into the net from a few yards out. In the last 20 minutes (plus injury time), the Queens defending was nothing short of heroic. United were peppering the box with crosses, corners and shots, with everyone back defending the lead. Ian McGrath, who had a very impressive first start, was taken off for Iain Wilson, while Josh Todd was sacrificed forDarren Brownlie. While the home side pressured Queens non-stop, they weren?t able to create any clear cut chances. Headers from Safranko and Mark Reynolds were all they really created. 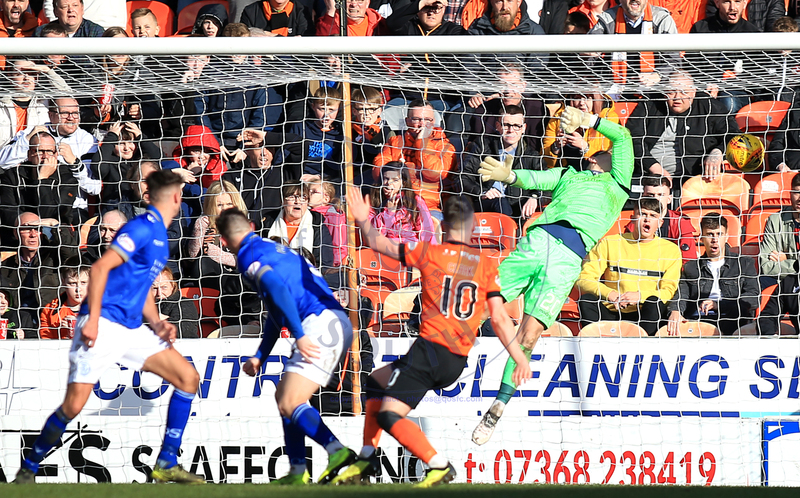 Maguire, Doyle and Brownlie were winning almost everything in the air, to prevent an equaliser. 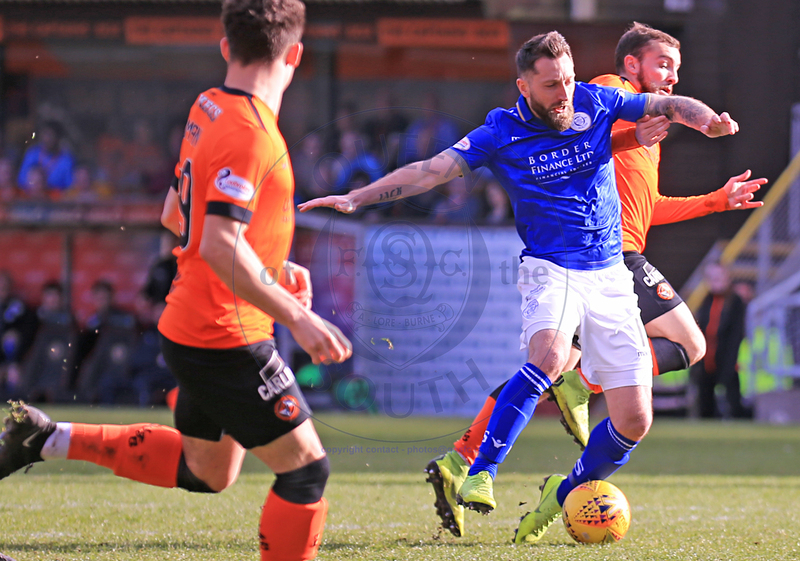 One final change for Queens seen Stephen Dobbie replaced by Connor Murray for the last few minutes. Referee Alan Muir added on almost six minutes on injury time, but still the Queens defence held off. 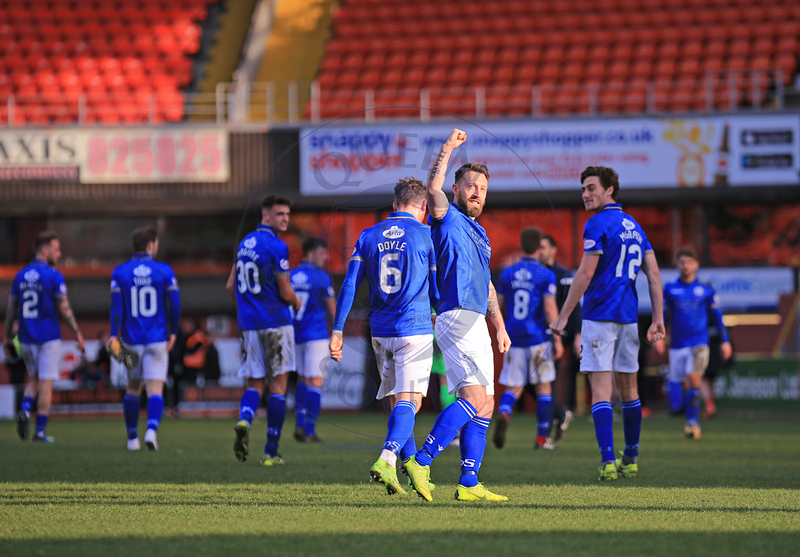 Another famous victory for Queens, and only their second at Tannadice since 1946, following last season?s 3-2 win in March. A return to winning ways will be welcomed by everyone at the club, including the fans, as we look to get out of the relegation battle. With results elsewhere meaning none of the bottom 4 lost, the battle is very much still on. Although after Morton?s 3-0 defeat at the hands of Partick Thistle, Queens are just one point adrift of 6th place. Indeed, the bottom half of the table are separated by just five points. After some weeks off, the games come thick and fast now, with Queens returning to Palmerston as we host Falkirk ok Tuesday night. With a 7:45PM kick-off, a win will drive us further clear of the relegation zone. There?s nothing like a night under the lights, let?s back the boys in blue and get another valuable three points. We?ll see you there!